I’m a fan of all things murder mystery. 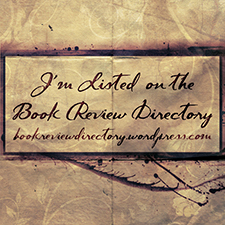 Jana Deleon and Melissa Miller being two great additions to the genre, keeping their writing fast and witty. I was hoping that Andrea Drew would complete my trinity of sleuth writers but alas, she is not The One. I can see what the anticipated outcome was for this book but Drew failed to reach the mark. Gypsy Shields is close to being a recluse, from the sounds of it. She barely leaves her house and when she does, she seems to be perpetually on the verge of a panic attack. She is a medium of sorts, and is able to communicate telepathically with her niece, as well as glean memories from others through touch. Having been made fun of and ridiculed as a child, the now 30-something year old Gypsy keeps her abilities a closely guarded secret. Until she meets Conner. They are thrust together by some mutual friends and hit it off. Connor is a local detective with a failed marriage and some serious baggage but he likes Gypsy. On her way home from the social gathering and still on a rather euphoric high from meeting Connor, Gypsy stumbles upon a kidnapping in progress. She tries to halt the mystery woman’s attacker but he manages to get the victim into the vehicle and hit Gypsy with his van. Before the hit and run, Gypsy was able to call the police to report what she was seeing. She wakes up some time later, in hospital and unable to speak or even move properly. Desperately wanting to help the woman she saw in the alley, she tells her niece (using their special connection) to report everything to Connor. Will Connor be able to keep an objective view when his family is involved and will he even believe Gyspy and her niece? There is nothing wrong with the style and, in fact, the story reads quite quickly. It’s fast and easy to follow. In a bold strategy, Drew lets you know straight out the gate who the kidnapper is, who the victim is and how they are involved with the protagonists. The destination is what is important here. Even the main characters know who the perpetrator is so there are no real surprises there! The narrative switches between first and third person. When dealing with Gypsy, it’s first person. Everyone else’s story is told in the third person. I find this to be annoying but that’s a personal preference. 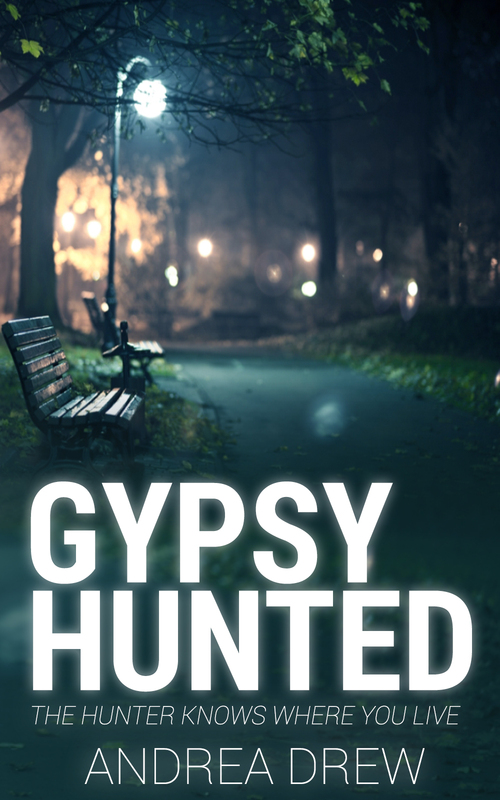 Despite the fact that this was a well written book, there were some really confusing things, the most important of which is the fact that the eponymous Gypsy was not really involved for the majority of the story. She literally spent most of the book in hospital and in physiotherapy. Her abilities as a medium were used all of three times, one of which was to tell her niece to report the crime. I forgot that the book was about her, as most of the story followed Connor and his investigation. Something that annoyed me was the fact that Gypsy came across as a completely bipolar character. One minute she’s telling the reader that she’s shy and prefers to keep her abilities a secret but promptly tells Connor (a complete stranger at the time) everything about her abilities. The character is juvenile and two-dimensional. Then, after having had two conversations with Connor she nearly breaks down when she hears of his suspension, presumably due to his possible involvement with the kidnapper. This breakdown happens without hearing from Connor or asking him to explain what was going on. Plus he was never actually accused of being involved. That was her assumption. On top of having no tangible bearing on the plot, Gypsy is stuck in hospital and lamenting the fact that she cannot assist the investigation. In an instant she is swooning over Connor, having met him twice, and wondering if the feelings that they have for each other are the real deal. While bemoaning the fact that she wants to be at home, alone with her home shopping network and credit card. Just, what?! Make up your mind! Her thirteen year old niece comes across as a restless toddler at times and then suddenly seems wise beyond her year at others. Her sister is a non-entity, who I feel was meant to play a bigger role but was forgotten halfway through writing the book. While Connor was the only believable character, with real substance, he could not carry this story alone. The plot wasn’t smart enough to pull of the strategy used. It was too easy to figure out what was going to happen and the strangeness of the characters had me wishing the book would just end. If the main character and her family were removed, this book might have had some good suspense.